Ye bonnie birds, ye need na sing, For Luman never can return. I make for him, I lo'ed sae lang. Words by J. v. Eichendorff. 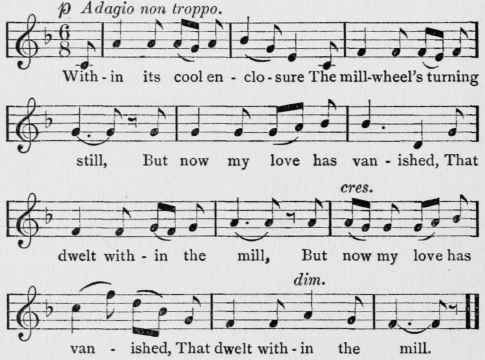 Music by Gluck (1814).